– The desire for and commitment to weight loss must come from you. Friends and family are important sources of support, but not motivation. – Understand that YOU are responsible for you – and that it’s YOUR choice to be overweight or not. When you take responsibility for this concept, it not only feels wonderful, it means you have a greater chance of being able to manage your weight. – Responsibility simply means that you respond ably to those things in life that can stop you or set you back. When you act responsibly, you figure out what went wrong, determine how you can fix it, and even incorporate the setback into a well-thought-out plan of action. Accidents and strange things do happen, both lucky and unlucky. But you are solely responsible for how you respond and how you allow any event or person to shape you. – Avoid blaming others for your eating habits or weight issues. It can only work to your disadvantage. In the short term, blaming others may get you off the hook, but in the long term, it just doesn’t work. To change your patterns, you need to find out what motivated you to use blame, what benefit you get out of it, and consciously become accountable for your actions and feelings. – If you externalize blame, you attribute your problems to your gene pool, to another person or circumstance or event, often ignoring your own destructive behaviors. “My spouse is so critical and demanding – he makes me overeat.” When you internalize blame (blame yourself), you’re more likely to define yourself as hopeless or lost before you begin, thinking, for example, “I can’t control my eating, so why try?” Either style of blaming gets in the way of taking responsibility. – Successful weight loss isn’t possible unless you take the time to assess what’s tripped you up in the past and develop strategies for dealing with those situations. You must commit to planning and organizing your weight loss. – Making drastic or highly restrictive changes in your eating habits may help you to lose weight in the short run, but those restrictions can be hard to live with permanently. Similarly, your program of physical activity should be one you can sustain. Rethink your definition of “weight-loss success” to include an enjoyable, comfortably maintained and sensible eating program along with regular activity. 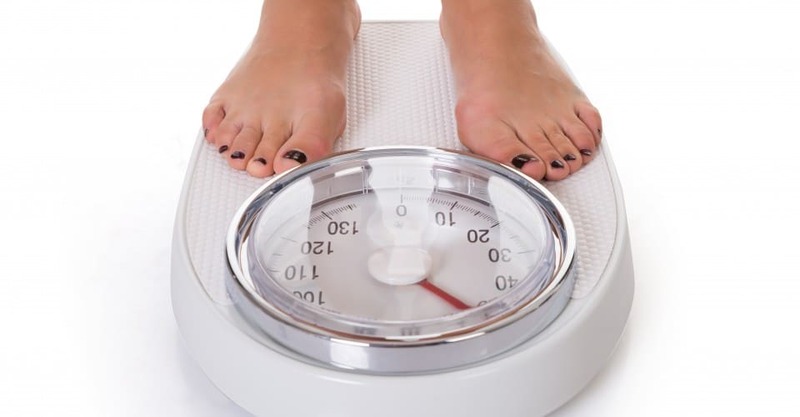 – If you equate success with fast weight loss, you’ll have problems maintaining your weight. A “quick fix” attitude almost always backfires when it comes to weight maintenance. It’s smarter – and healthier – to set a series of smaller, achievable goals while you make new eating habits and activity patterns second nature. – Goal-planning is all about doing your research, plotting your course, making a step-by-step plan with deadlines, setting short-, mid- and long-term goals and putting your goals into an estimated overall time frame. – Goals should be clear, not too broad and should answer the questions how, when, where and why. Your goals should help to set your course of action. · Writing down a long-term goal and outlining in detail the steps you’ll take to carry it out over time. That means not saying simply, “I’m going to lose 25 pounds,” but devising a thorough plan of attack, complete with strategies for dealing with all potential stumbling blocks, and then tracking your progress consistently and thoughtfully. · Planning what to eat and how to deal with foods that you find irresistible. · Incorporating physical activity into your schedule, and figuring out how to make sure you get to the gym on those days when you’re less likely to have the time or inclination to work out. Workouts increase the chances of reaching your weight loss goals and decrease the chances of slipping up. In addition, studies show that people who develop the habit of regular, moderate physical activity are most successful at maintaining their weight. · Remembering that even though we all have “slip prone” situations and temptations, goal-planning helps us handle them. – An old adage says that you can’t change what you don’t understand. You’ll definitely benefit from understanding when, what, why and how much you eat by keeping a food diary. Experts agree that keeping track of what you eat and when you eat it is a critical factor in losing and controlling weight. A food diary helps a person lose weight by providing a heightened self-awareness, which is an early step toward behavior change and a really effective “self-monitoring” tool. There are now many smartphone apps and other tools to help you to keep track – even taking photos of everything you eat. – Don’t be fooled by “portion distortion.” Most of us have very little idea how much we are really eating. When you’re doing your diary, be honest about how much you’re really eating. As a general rule, assume you’re eating 30 to 40 percent more than you think. – Most people fantasize about reaching a weight considerably lower than what they can realistically maintain. Take your body type into consideration, and keep in mind that we are bombarded daily with images of unrealistically thin people. – Don’t worry if you hit a point where you do not lose weight while on a program. This is common – you may reach a plateau of weight maintenance while your body continues to adjust. This is perfectly OK.
– Although most people do not expect perfection of themselves in everyday life, many feel they must stick to a weight-loss program to the letter. Perfection is unrealistic. Instead, take note of when you fall off your diet. These lapses need not be catastrophes. Instead, give yourself a break and see them as what they are: valuable opportunities to identify weak moments and problem triggers and to develop strategies for the future. Take it one day at a time. – While being overweight may contribute to social problems you may be having, it is rarely the single cause. Expecting that all your problems will be solved “when you’re thinner” is unrealistic and sets you up for disappointment. Instead, understand that the skills you used to achieve successful weight loss can also be applied to other areas of your life.